The conclusions about the so-called “liberation therapy,” which thousands of people with MS have undergone since 2009, represent the most definitive debunking of the claim that patients could achieve dramatic improvements from a one-time medical procedure. To get the most reliable evidence, the study had some people undergo a “sham” procedure the surgical equivalent of a placebo. All 104 participants had a catheter inserted into their blocked veins, but only 49 had their vessel walls pushed out by inflating a small balloon, known as venoplasty. A year later, the venoplasty group’s results were statistically the same as those in the sham group, as measured by brain imaging, standard assessments of MS symptoms and the patients’ own self-assessments. The findings from the $5.4 million study, jointly funded by the Canadian Institutes of Health Research, the MS Society of Canada, and the Provinces of British Columbia, Manitoba and Quebec, were presented at the Society for Interventional Radiology’s annual scientific meeting in Washington, D.C. The researchers are now preparing an article to be published in a peer-reviewed journal. 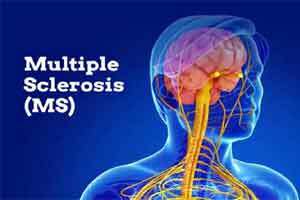 Multiple sclerosis is an autoimmune disease, in which the body’s own defenses attack the protective coating of brain cells, or neurons. The degradation of that insulation slows the neurons’ ability to conduct electrical signals, leading to problems with movement, sensation and cognitive function. The causes of the disease remain unknown, though research has implicated genetic variations and environmental factors, including a lack of Vitamin D.
Using venoplasty as an MS treatment was put forward by Dr. Paolo Zamboni of Italy, who asserted that narrowing of the veins in the neck could be causing iron to accumulate in the brain and spinal cord, triggering the autoimmune response. He called his theory chronic cerebrospinal venous insufficiency (CCSVI), and cited several dozen cases of patients who improved after undergoing venoplasty by him. Many patients in Canada and Europe, upon learning of those anecdotal results through the news media, asked for imaging of their veins and subsequent venoplasty. But almost all Canadian physicians, citing the lack of supporting evidence, would not perform it, prompting some patients to seek the treatment in the U.S., Latin America and Eastern Europe. Researchers from across Canada, led by the UBC and Vancouver Coastal Health team, conducted two major studies, seeking more evidence on the CCSVI theory. One study, supported by the MS Society of Canada, sought to determine if narrowed veins was a distinct feature of MS; the other tested the proposed treatment. The first study, published in The Lancet in 2013, found that narrowing was just as common in both groups in fact, it was even more common than Zamboni had described. Those findings raised serious questions about Zamboni’s theory. The 104 people in the latest study in Vancouver, Winnipeg, Montreal and Quebec City all had MS and narrowing of the jugular vein, which drains blood from the brain, or the azygos vein, which drains blood from the spinal cord. The study was “double-blinded”: Neither the patients nor the physicians who evaluated them knew who was receiving the actual treatment or the sham procedure. All patients were put under minor sedation, and all of them had a catheter threaded through an incision in the groin to the area of vessel narrowing. For those receiving the actual treatment, the balloon was inflated once or twice; for those receiving the sham, the catheter simply remained in the narrowed area for the same amount of time, about one minute. The researchers found no statistically significant difference between the treatment group and the sham group in patient symptoms, either as reported by the patients or as determined by physicians, three days after the procedure and a year later. Patients in both groups reported slight but equal improvements a year later; physician assessments showed no improvement in either group. Magnetic resonance imaging (MRI) of their brains was used to count the number of new lesions in their myelin, and researchers found no difference after six months and after one year between the treatment group and the sham group.